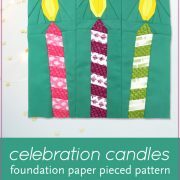 Celebration Candles is an easy, quick block to make in an afternoon. 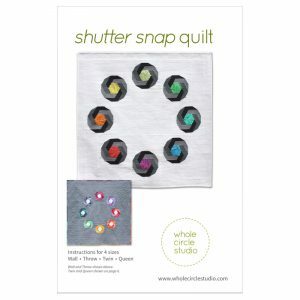 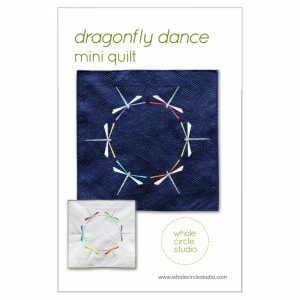 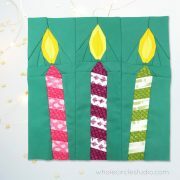 This is the perfect quilt project to make for birthday or holiday celebrations. 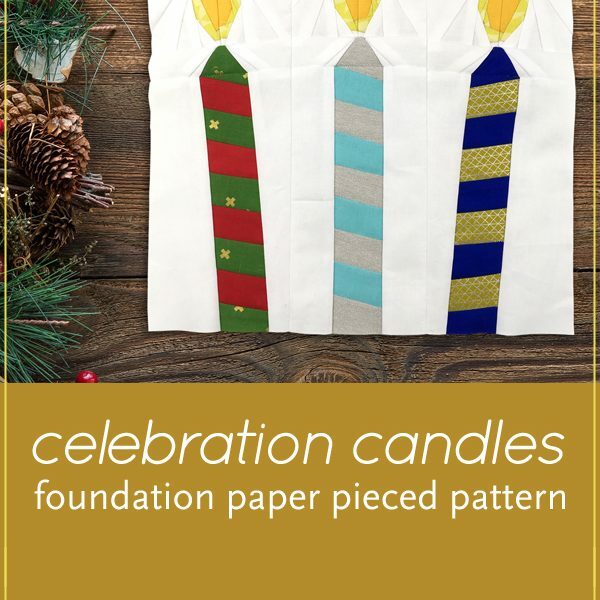 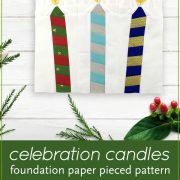 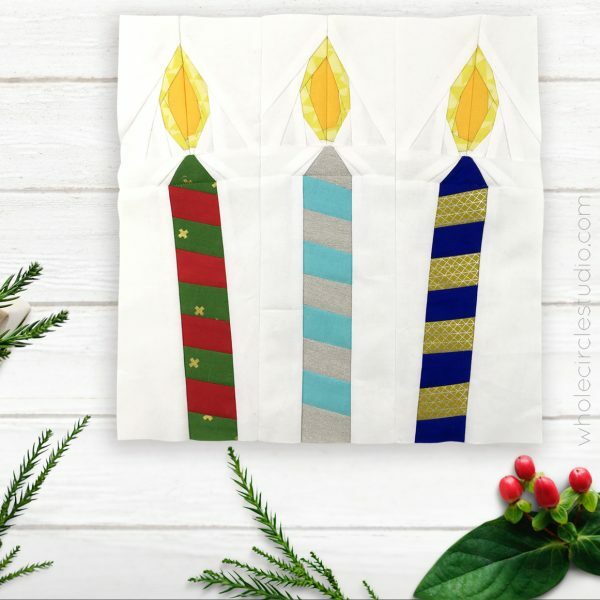 Included in this foundation paper piecing pattern are 3 designs (one candle leaning to left, one candle leaning to right, one candle upright). 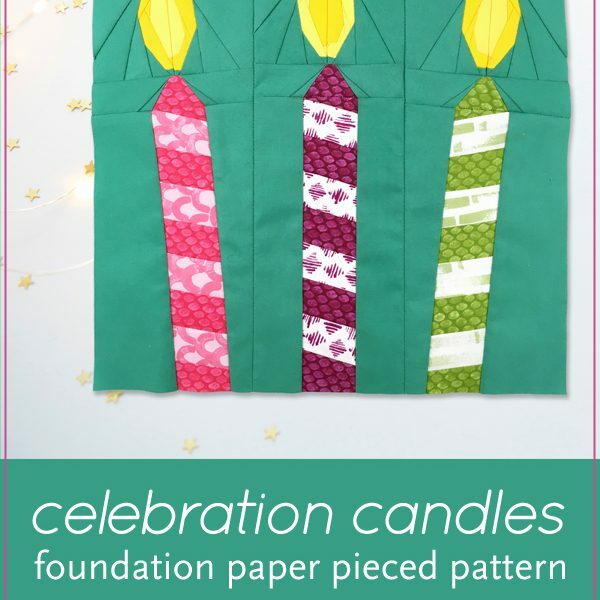 This is also a great pattern to use up your scraps! 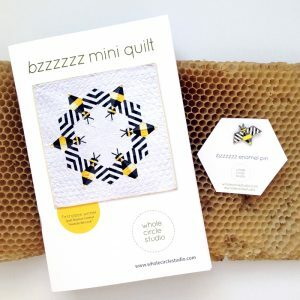 These blocks are the perfect size for a mini quilt, table quilt or pillow. 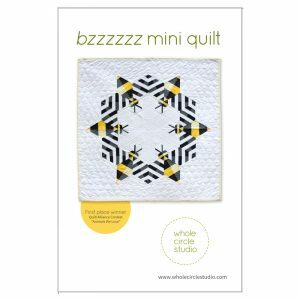 Make multiple blocks to make a table runner or larger quilt. 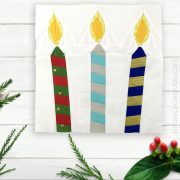 Instructions included for 1 block (one candle leaning to left, one candle leaning to right, one candle upright). 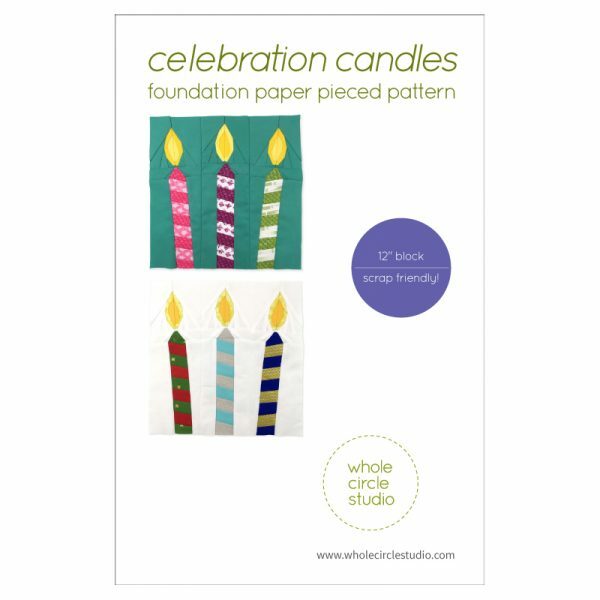 Celebration Candles was inspired by an upcoming birthday. 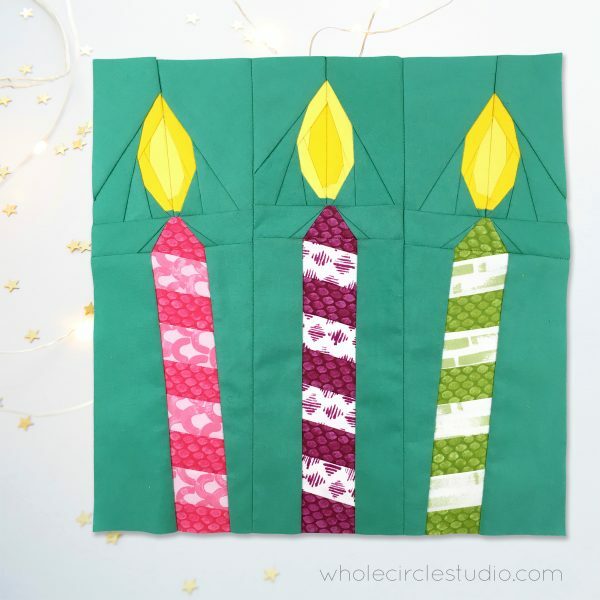 Customize your quilt and make as many candles as birthday years celebrated (don’t forget to add one for good luck!) 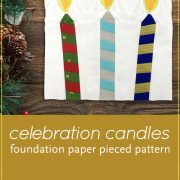 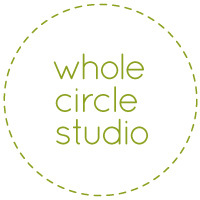 or get festive and make candles for an upcoming holiday of your choice.